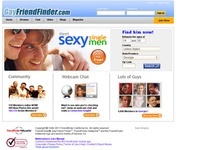 GayMatchMaker is the quick, easy, fun and safe way to meet gay and bi partners online. With over 300,000 Australian members, Gay Matchmaker is Australia's and New Zealand's premier gay dating site. Join for free! Popular lesbian dating and friendship site; includes photo personals, lesbian specific profiles, chat, discussions and forums. let-it-out.com is a gay-owned and operated online share accommodation service with the mission to provide Australia's gay & lesbian community with premium service at prices that don't try to exploit the 'pink dollar'. let-it-out.com will connect you with a new flatmate, or help you find a new home to share or rent. Take a look!